The i am initiative is a program for Every Girl and our mission is to share the super powers that live within Every Girl without prejudice or discrimination. There are many girls in the world who don’t have access to their inner powers, not because they don’t have them, but because they haven’t had the opportunity to learn how strong, confident, and powerful they already are on the inside. Next week I will be visiting with girls at TreeHouse, teaching them about the I Am Girl who lives inside them, and sharing tools to help them love who they are, stand up for themselves, and take responsibility for positive change in their world. Right now is your chance to unleash your own I Am Girl and be positive change. The teens at TreeHouse are in need of mentorship offered by programs that encourage and allow them to step out of a cycle of hatred, violence, and negative rebellion. 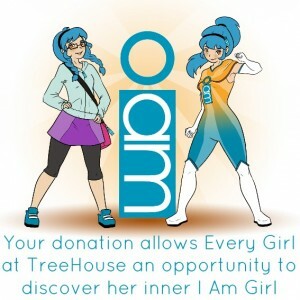 Each girl at TreeHouse has an I Am Girl within and your donation allows her to get the programming and help needed to discover her own superpowers. Please consider donating in any amount. Every dollar you give goes directly towards powerful programming and positive development for these at-risk girls in need of your support. I so appreciate the love and donations you offer, xoxo E.G. 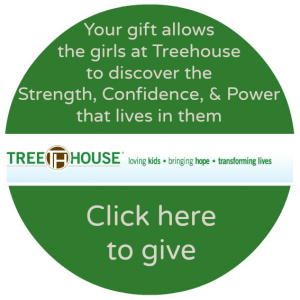 “TreeHouse is a faith-based organization offering hope, guidance, and unconditional love to at-risk teens dealing with tough issues such as depression/suicidal tendencies, substance abuse, truancy, self-injury and sexual activity. Our balanced programs meet the social, emotional, physical, intellectual and spiritual needs of at-risk teens. TreeHouse provides a safe environment and mentorship for teens to receive support, guidance and practical skills in making better choices today to live as healthy adults tomorrow.